Augustus “Gus” Cardello — a 2017 Staples High School graduate == died suddenly on October 12 at Providence College, where he was a sophomore. Gus moved to Westport when he was 6. He was involved with Staples’ Service League of Boys, was a camp counselor at RECing Crew and Camp Compo, had a radio show on WWPT-FM Staples radio, and this past summer started a window washing business with several friends. Gus’ funeral services this past Saturday at Assumption Church were attended by hundreds of family members, friends and others from the many communities he touched – including Westport, Providence College, England (where he was born) and beyond. How do I put into words all of those qualities that made Augustus so amazing? What made him so special cannot be measured by awards, trophies, or even popularity. To know Augustus was to know goodness. I was his mother, but he was my teacher, my guide, my light, my heart and my best friend. Since his passing, Joe, Isabella, Christopher and I have been overwhelmed with messages from friends, family, acquaintances, even strangers. Our home has been inundated with people, all of whom felt compelled to express a heartfelt sense of loss and a need to share their personal stories of the ways in which he had positively impacted their lives. Each story was unique in the little details. But each was also incredibly similar in the way he made people feel. Above all else, Augustus had humility. He would hate all of this attention. More importantly, he would hate to think that his death was causing so much pain and suffering in the people he loved most. You see, the only thing Augustus ever really cared about was making people happy. I believe that was his calling in this life. Everyone was special as far as he was concerned, and he found good in everyone. I’ve heard from so many of his peers these past few days, many of whom were either going through a difficult time in their life, maybe felt that they just didn’t fit in for one reason or another, or were maybe just shy. They said it was Augustus who reached out to them first, and made them feel comfortable immediately. He was humble. He never boasted about any of his accomplishments, and if he ever allowed himself to feel the slightest bit of pride, it was only to tell me about some new friend he had made. Not because he needed to be liked, accepted, or even popular, but because deep connections with people — genuine, personal connections — were the things that brought him the most joy. 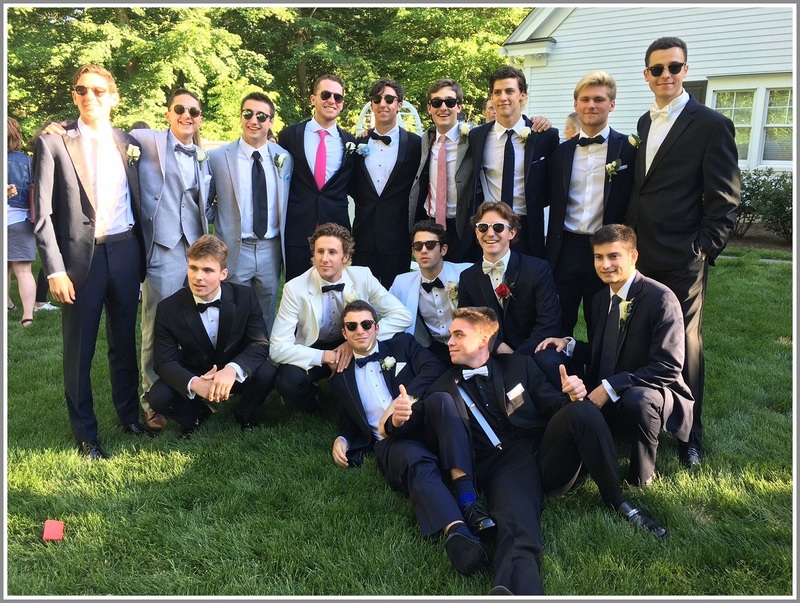 Gus Cardello (back row, 3rd from left) and some of his many friends, before their senior prom. He was grateful. Augustus never needed much of anything, but he was so appreciative of everything. The smallest gestures from people made him feel so special. He felt flattered when his friend Jesse wanted to have dinner with only him, or that Kenny had invited him to go kayaking, or Shelby’s mom made him the meatballs he loved so much, or that his grandfather Bob was willing to just sit with him and watch him play his video games. He was the funniest person in the room. His humor was sarcastic, unique, silly, immature, witty and absurdly funny. Augustus was ridiculous and goofy and spontaneous, but he was always himself. He was truly the heart and soul of our family. He was the one we could always count on to make our days brighter, and his absence will be immeasurable. He enjoyed aggravating his siblings constantly. It was his way of connecting with them. 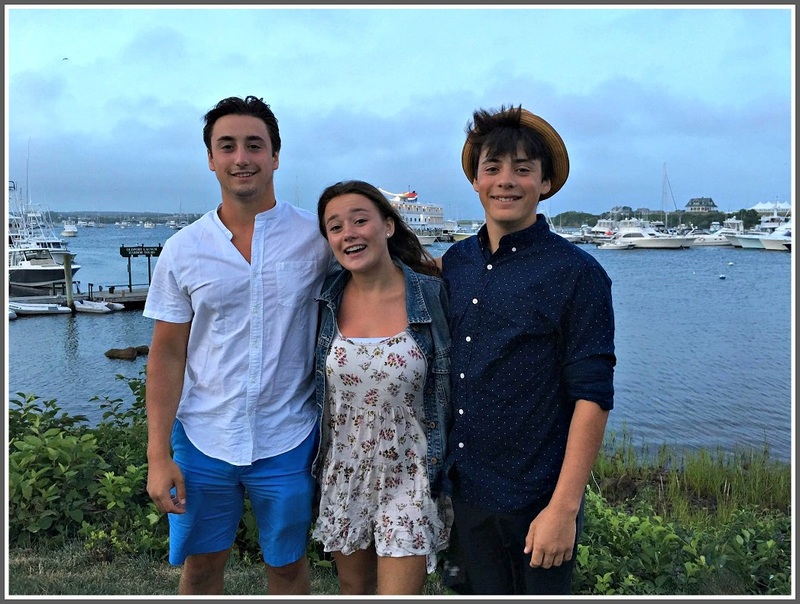 Gus Cardello with his siblings, Isabella and Chris. Chris, I know he was so impressed by how smart, talented and disciplined you are. He admired your uniqueness, and how you have always lived your life being your own person. He loved wondering what the future held for you, as he knew you would be do amazing things. Isabella, he was impressed with the way you give so much of yourself to the people around, the people who are hurting and those less fortunate. You are strong, you are a fighter, you are the most compassionate person, and I know he admired those qualities in you even if you couldn’t always see that. And above all else he knew how much you cared for him. He just never wanted you to know. The world was an infinitely better place with Augustus in it — for this I am sure. But his passing has already brought about the most amazing acts of generosity, kindness and love. Open your hearts, and you will experience them too. I always felt honored that God chose me to be his mother, and I could never understand what I had done to deserve such a gift. I could not be more proud to have had such an amazing son, and I am forever grateful to have had 19 beautiful years with him. 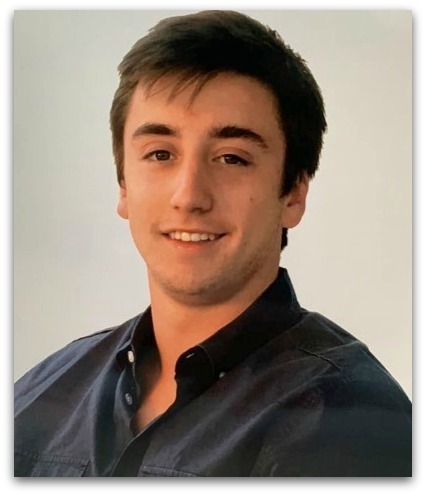 To honor Gus’ memory, promote the values he lived his life by, and support attending Providence College for those in need, the family has established the Augustus G. Cardello Memorial Scholarship Fund. Contributions can be made through Gofundme (click here), or by check (made payable to “Fidelity Charitable Gift Fund” (put “Augustus G. Cardello” on the memo line), and mailed to Clapboard Hill Private Wealth, 1265 Post Road East, Westport, CT 06880. 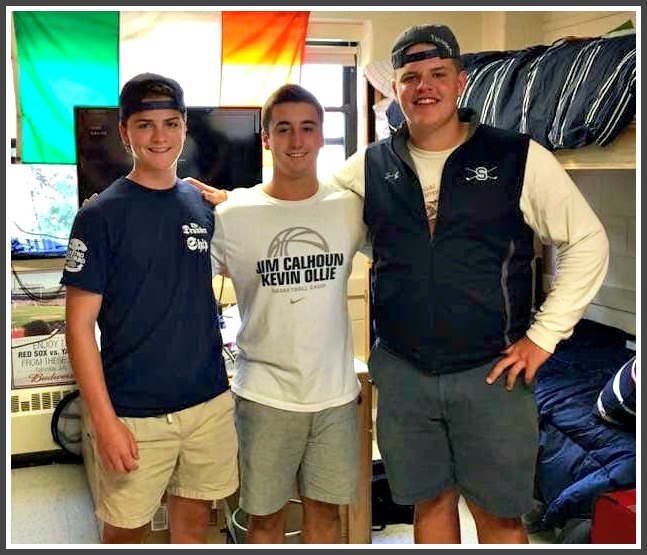 Gus Cardello (center) and his Providence College roommates. Matty Fair (right) was a fellow Staples High School grad, and close friend. This entry was posted in Education, People, Staples HS and tagged Augustus Cardello, Providence College. Bookmark the permalink. Thank you for sharing. What a beautiful eulogy. I don’t know the Cardello’s but my heartfelt sympathies go out to them. Clearly such a big loss. What a beautiful community you have in Westport. The support and outpouring of love for my family during these trying times will forever be remembered. Thank you! What a beautiful and heartfelt tribute to your son. Thank you so much for posting this! Michelle’s eulogy was truly a beautiful tribute to the great person Gus was, and I have tried to describe some of what she said to those close to me and could not begin to do justice to her beautiful words, so thank you for posting this, in part. I can’t exoress how much we loved Gus. His mother described him perfectly. Spending time with Gus on the many many nights I drove those boys around was a gift. Gus made me happy. He was like a brother to my son Nick. I didn’t know Gus and have no acquaintance with his family, but I do know that there can’t be any greater pain in life than from losing a child at too early an age. This is a powerfully honest tribute and serves to remind all of us to cherish the people we have in our lives while they’re still with us. My deepest sympathy to Mrs. Cardello and her family.